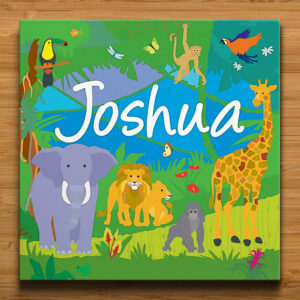 Our Jungle Animals Birth Print is an adorable personalised art print for children featuring a colourful collection of jungle animals. This jungle safari scene features a selection of distinctive animals including a mother and baby elephant, a lion, zebra, giraffe and monkey. 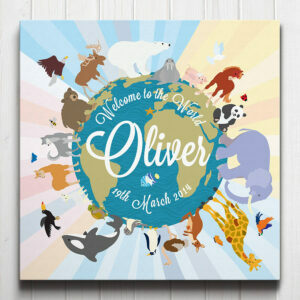 Designed in a fun and contemporary style this print will add the finishing touches to a jungle or animal themed room. 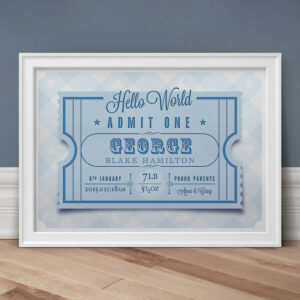 The personalised print is suitable for girls or boys and makes the ideal gift to celebrate the arrival of a new baby, a christening, naming day or first birthday. 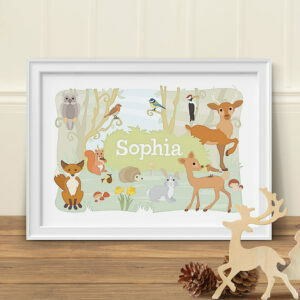 Jungle Animals Birth Print is part of a new series of fun prints exploring animals in their natural habitats. 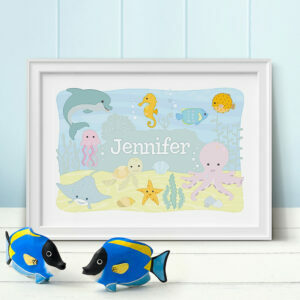 Other animal themed prints in the range so far include Ocean Animals and Woodland Animals. 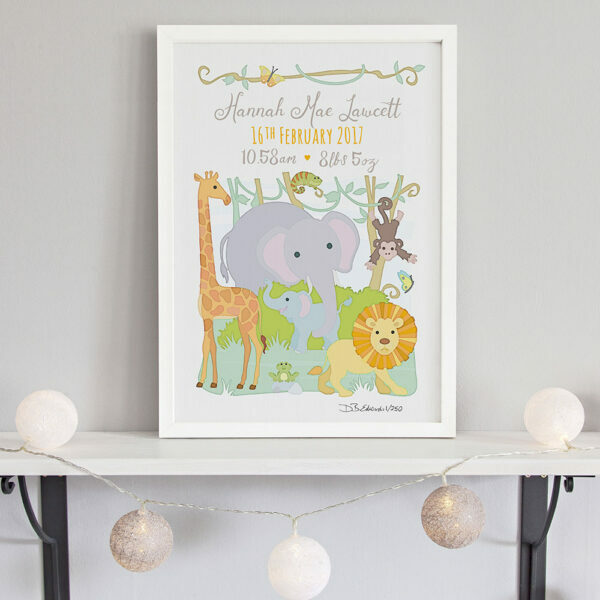 This limited edition jungle animals birth print is printed onto archival rough textured art paper, similar to watercolour paper. It is signed and numbered by the artist. 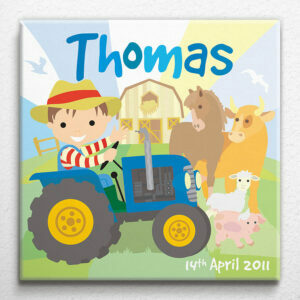 Each piece of kids wall art is professionally printed in our studio to order. We offer free delivery on all UK orders. If you need something in a hurry or have any bespoke special requests, please get in touch; we’ll see if we can help. The print comes unframed, sealed in a cellophane bag and delivered in a hardbacked envelope.